Two weeks from now I’ll be in Washington, D.C. at SHRM16 – the annual conference and exposition put on by SHRM. I’m tangibly geeked to be going once again, and I can’t wait to swim amid the sea of people who attend from all over the globe. I look forward to every aspect of the Conference. There are great keynote presentations, a diverse and full set of concurrent sessions that run throughout the whole event, the SHRM Smart Stage that features TED type talks, the fabulous SHRM Store and the incredible vendor hall !! I’m sure it sounds like I’m a SHRM devotee, and I don’t apologize for that at all. I’ve chosen to take in the whole conference because it enhances my experience and I encourage you to do the same. I try to look at the whole event as “new” so that I don’t have certain filters or misconceptions creep in. Every Annual Conference has it’s own nuances and dynamics that keep it fresh for me. One aspect that is both new and familiar is the people. There will be many folks who are attending for the first time. I love seeing these rookies. The event can be overwhelming if you let it, but there are ways to make it accessible and inviting. Don’t get swallowed by the scale of everything. Instead, plan ahead and be intentional about what you’d like to do and who you’d like to see speak. Stretch your boundaries and don’t just go to sessions that mimic your current role. See what else is out there. The other group of people I’m REALLY excited to see !! Those are the people who come often. Some of these great people are ones I’ve “grown up” with through SHRM volunteering including many SHRM staff. Others are friends from Social Media who always add life and a fresh perspective to everything. Most have become lifelong friends – literally. This isn’t an exaggeration or an overstatement. I have met people at SHRM Annual events that I talk to and see often and on purpose. They have enriched my life in ways they may not even realize. Seeing these folks makes the event priceless !! So, I have a challenge for you that you may not have considered before attending SHRM16. I want you to go because of one reason – for the people. Seriously. We are in a tough industry and in challenging roles. Often, we have very few people we can talk to internally in our organizations. How much better would it be for you if you had people you could reach out to as a resource, and even better as a friend? It’s simple to do and I’ll show you how. First, say “Hello”. You may scoff at this, but I continue to be amazed by the hundreds, if not thousands, of HR pros who pass each other as quickly as possible at HR conferences without interacting with one other peer. For some reason we think our recertification hours, or hearing some speaker, will provide the silver bullet we need to get out of the situations we’re dealing with at work. What we miss is that the people passing by you are IN THE SAME FIELD AS YOU !! They may be facing what you’re facing, or they may have been through it themselves. If you happen to get out of your normal pattern and introduce yourself, who knows where it could lead? Trust me when I say that the whole Conference rocks, and it even gets better when you connect with the people who are there with you. Be intentional about this !! Make sure to meet at least five new people. Go to sessions with them. Walk through the vendor hall with them. Go to dinner with them. Don’t let someone be a straggler. Bring them in and include them. I plan to meet as many folks as possible, but I’m an incurable extrovert. You should meet as many folks as you feel comfortable doing. 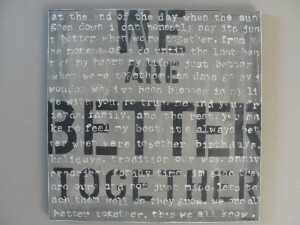 Always remember – In HR, and as humans, we are better together !! Go to SHRM16 for the people !! Author Steve Browne (Admin)Posted on June 5, 2016 June 5, 2016 Categories HRTags connections, HR, Human Resources, intentional, networking, SHRM, SHRM161 Comment on For The People !! 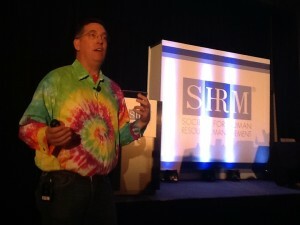 This past week I attended the SHRM Talent Conference and it was spectacular !! The keynote speakers were all solid and the concurrent sessions had depth and relevant content. I love that people come to conferences to learn, gain skills and get professional development to do their jobs better. I also dig hearing speakers that motivate me, make me laugh and allow me to have a release from what I do on a daily basis. All of those facets of attending a conference are needed. Chances are you’ll even be asked to give a report back to your boss about the takeaways you had. What if you missed the best takeaway when it was sitting right next to you? As in most conferences I’ve gone to, attendees flow past fellow attendees and people keep to themselves. They make sure to get a seat in the area of the room where the presentation occurs, and then they sit and wait to hear what the speaker has to share. Did you know that when you listen to a presentation, you remember 10% of what was said on average? Even the great ones !! I have a much different approach to HR Conferences. I go to them to meet people. I understand that this isn’t the norm, and I’m good with that. What I’ve found, however, is when I meet new HR people and connect them with other new HR people, great things happen. During SHRM Talent, I met folks from all over the U.S. and from around the globe !! I learned different approaches, insights and also what they expected from the conference. You see, I can give you countless examples of why taking this approach to conferences matters. I have met people that I keep in touch with on a regular, if not daily basis, that make me a better human. They also make me a stronger HR professional. With them I have a whole set of resources available with the click of a button on my phone or laptop. With them I have a deeper appreciation of HR because they give me their perspectives on things. With them I have established life-long friendships that I cherish. To be honest, I couldn’t tell you which speaker I was listening too when I met these folks. However, I am assured that I can reach out to any of them at any time to stay connected. 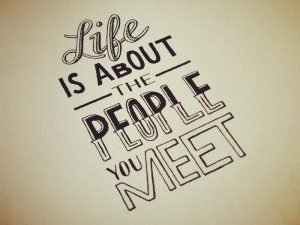 So, when you go to your next HR event whether it’s a local HR chapter meeting, a networking forum or the massive SHRM Annual conference, step back and notice the people. When you get their attention, introduce yourself and ask, “And you are ? ?” Trust me. You’ll be glad you did !! Author Steve Browne (Admin)Posted on April 24, 2016 Categories HRTags connections, HR, Human Resources, intentional, networking, SHRM, SHRMTalent4 Comments on And You Are ?? It’s staggering to me that there continues to be this on-going conversation that is desperately trying to kill Human Resources. Blogs, magazine articles, conference presentations, etc. It’s happening throughout the profession, and very few people are standing up against it !! Why in the world should we allow people to degrade, belittle and tear down our profession? It’s especially disheartening when some of those voices are coming from inside HR itself !! I believe that there should always be discourse, dialogue and critique. If that doesn’t occur, then change doesn’t happen. However, trying to move things forward through tearing it down has never worked. Never. The reason for this post, and the title, is that I truly believe there is a problem and HR does need resurrecting !! Also, with it being Easter, how could you not use this title ?? The problem, as I see it, is that we are working so hard to maintain the status quo, that we’ve lost the urge to stretch and dream to see what HR could be. We feel that keeping things comfortable and in line will make our role effective and needed in organizations. It helps to have some of that, but not as your primary approach. It’s interesting that we encourage others not to settle, but we don’t see that this advice also applies to us. I’d like you to consider some ideas to make HR alive for you personally and collectively as a profession !! Stand up and be heard !! When you hear someone taking a shot at HR and what you do, respond. If that happens in your organization, push back. Bring solutions that elevate the human element of your employees and pull the company together. Quit making efforts to manage to the exception and recognize the whole. If you see negative comments online, respond. Being frustrated behind a screen will not bring about change. Comment, share and respond !! Get connected and involved in the profession !! HR is a field of isolation by design because we deal with the difficult side of employee issues. They have to have a safe haven they can work with and come to. After awhile, that isolation builds up and you have nowhere to go. (or so you think). The best thing about being in HR is the other people who practice it !! Having a viable, interactive and living network of HR professionals is essential if you want to thrive in this field. There was never anything written in your job description that stated that you had to quietly suffer. Reach out. Connect with others who are near you. Make social media the communication vehicle it was intended to be and find out that there are thousands of people who do what you do, and they’re looking to connect as well !! Go to conferences to meet people. Join organizations like SHRM nationally as well as locally. Do it because it makes you a better HR pro, not just because you were told to do it !! Believe in what you do !! HR is alive and well. It’s not just a blog post or a rallying cry. It’s a fact. Every day senior management is seeking HR to step up and make sure that organizations are more human. It’s a natural instinct in most of us and the time for suppressing it is past. It’s not time for us to be wildly optimistic, but it is time for us to say – How can we make the workplace better? There is value in what you do my peers and friends. Inherent, tangible value. As you head back to work this week shake off the cobwebs, drudgery and negativity which can swallow the best of us. It’s time to resurrect HR !! Will you join me ?? 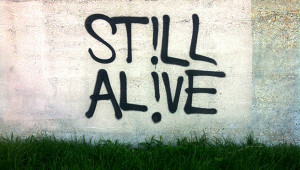 Author Steve Browne (Admin)Posted on March 27, 2016 March 29, 2016 Categories HRTags #AdvancingHR, Belief, CIPD, connections, GlobalHR, HR, HRPositive, SHRM20 Comments on Resurrecting HR !! The Eyes Have It !! Every so often I am fortunate enough to travel for HR. I’ve been an active volunteer for SHRM for over 15 years now and it’s always cool to me to get to go to a place away from home and see my peers. I never take it for granted and I’ve been able to venture out to places I may have never gone to on my own. Travel is a unique thing. When I first began to travel, I think I was like many of the folks I encounter now. I was anxious and uncertain of where to go and what to do. People are constantly milling around you and they look as anxious as you feel. Many people are rushing without care or concern of any other human within 25 feet of them because they need to get to their airplane gate, taxi or desk at the hotel. I decided that if I traveled like this, I would be miserable, frustrated and impatient with others. That runs completely counter to who I am and how I see others. So, I slowed down and looked up. I no longer buried my head down to join the mad rush to the next destination. Instead, I really took a different approach . . . If you don’t know, I’m a very intentional person. I sincerely want to meet and know every person that I cross paths with. I’m intrigued as to who they are and what they do. I know there’s a chance that I will meet someone that may not be “safe” or could take advantage of me, but my experience says that this is rare. 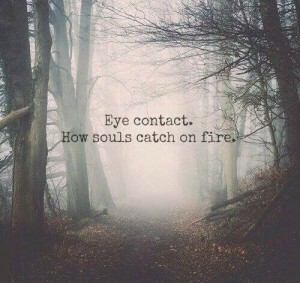 This brings me back to my new approach – I make eye contact with people. I don’t gawk or stare. I don’t fix on someone to be overt or creepy, but I look at people and if we connect, I really take a giant leap !! I say, “Hello ! !” That’s it. Nothing more. If someone wants to chat, I chat. If someone gives me the head nod, I reciprocate. I do this with the driver from long-term parking, to the ticketing agent, to the TSA ID checker, to everyone I meet. When I do this I get one of two responses. The one that is unfortunately the majority is that people avoid making eye contact because they don’t want to interact. I get that, but it’s disappointing. When people do make contact and chat, it’s fantastic !! Why ?? Because I truly feel that people today want someone to notice them. We are all constantly surrounded by people and yet we act as if we’re completely alone. We surround ourselves with social media, but we really only look to see if people notice us. It’s time we change our approach – especially in HR. Each and every day we’re surrounded by employees, clients, vendors and new people. Are you taking the time to pause, make eye contact and greet them? Do you stay long enough to see how someone is really doing or are you in your own mad dash because your e-mail is more important than the person you just passed ?? It’s time we looked up from whatever we think is more important and notice the people around us. 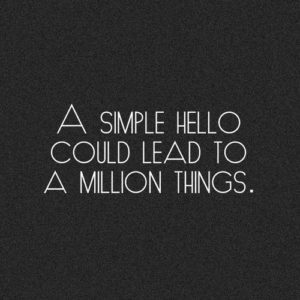 You never know if the “Hello ! !” you give will be just the thing that someone else needs more than anything. Trust me when I say that people aren’t doing this. People deserve to be recognized and noticed. This next week start making eye contact. It will change your view of others, your work and the world around you. I’ll be watching and when I see you, I’ll be making eye contact – guaranteed !! Author Steve Browne (Admin)Posted on February 28, 2016 Categories HRTags connections, Difference, employees, HR, Human Resources, intentional, SHRM2 Comments on The Eyes Have It !! Do you enjoy meeting people personally and professionally ?? Does there have to be a compelling reason to do so ?? Is the only reason you meet people is because you read a blog post that tells you to ?? I’ve been thinking about this lately because I thrive on meeting new people. That’s a fact. Whenever I go to a new environment, I reach out to meet people. I really want to get to know them, know who they are and something unique about them. I understand that this isn’t the norm and I wouldn’t recommend it unless you have the capacity to take in more and more folks. You see, I’m not a collector. Many people who network are because they have some ulterior motive that is intended to result in a sale of their services or products. When this occurs, people are only scratching the surface of truly connecting and yet people continue to do this. Just last week a person who was a guest at the restaurant I work at came up to me and said, “You look friendly and are always smiling. Here’s my card, I represent . . . .” I was floored. No name. No introduction. Just a chance to whip out the 30-second sales pitch because this is how you think it’s effective to meet other people. I threw his card away. Let me share an example of how networking has a lasting effect – as it should !! My best friend, Fred, calls me every week. Every. Week. He checks in to see how things are with me personally and professionally. He also just stepped up to run a monthly networking group, GETDOT Cincinnati, as their new President. By the way, he’s officially “retired.” Meeting new people really shouldn’t matter to him anymore should it ?? Fred is not only a dear friend, but he’s a great mentor and example that you need to have relationships with those in your network. That is the key !! If you can’t tell others about a connection past a rectangular piece of paper, then they really aren’t a connection at all. Remember, if you’re too busy to make time for others, don’t have them in your network and don’t be in theirs. That may sound a bit harsh, but great connections encourage each other. They don’t use each other. The key to networking is to Do the Work !! I think that having a viable network and being an effective networker should be a mandatory skill for all business people and especially for those in HR. Let me be clear – this is a business skill and not a job hunting skill. We’ve lost sight that having a set of “go to” people makes you a stronger professional in your role both within your company and in your industry. The challenge I see is that HR people are hesitant to reach out and meet others in our field. I don’t understand this because I’ve only seen it benefit me personally and allow me to have access to incredible folks !! This isn’t a factor of being extroverted or introverted. It is a factor that we don’t see the value of taking the time to connect with others. This week, I’d like you to start doing the work of connecting. Make a commitment to connect with one or two new people in HR. Send them a Linked In request with a personalized invitation. Be active on Twitter and connect with other HR folks and share HR blogs you read with others. Go to events and find a few people you don’t know and take the time to intentionally meet them. Be good with adding just a few people to your network each week. If you have a larger capacity, meet more people. However, commit to making sure they are connections and not collections. You’ll be a stronger HR pro when you have others around you that can encourage you and share their experiences and knowledge. I hope you understand that I know that this makes a difference. It will be some of the most meaningful work you’ll ever do !! Author Steve Browne (Admin)Posted on February 21, 2016 February 21, 2016 Categories HR, LeadershipTags Careers, connections, HR, Human Resources, networking, SHRM11 Comments on Do The Work !! The sessions are great. The chance to visit Capitol Hill and advocate is amazing !! However, when you talk to people in the hallway they share about the people they’ve met, the connections they’ve made and the experiences they’ve had throughout the conference. They focus on how they “belong” to each other. This is more than some sappy emotion. It’s a tangible factor that draws people together. I know that many HR bloggers write about “engagement” because it is something that also is a really and not some Kum By Ya spirit circle. However, I think we’ve overlooked a key component and that is that people want to belong. I’m not talking about belonging to SHRM or a local HR Chapter, but those are great examples of where this can happen. 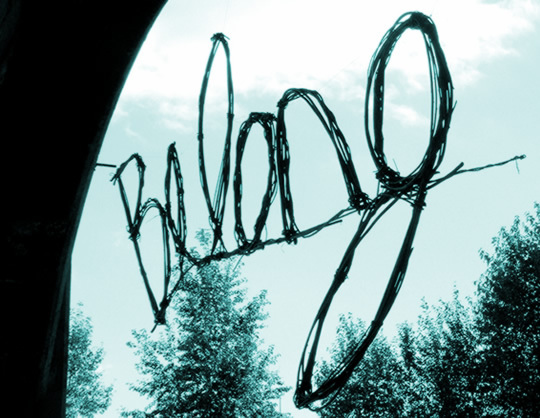 Belonging, I believe, is a human desire. We want to be part of something that is bigger than ourselves, and we want to do it with other people. It could happen in many arenas from churches to civic groups to professional associations. One quick side note on this . . . Belonging is not generationally exclusive. People of all ages want to belong. 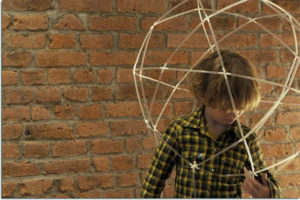 Different ages may choose to belong in ways that we haven’t traditionally thought of, but they all want to connect. People naturally want to connect and not be alone. As HR professionals, what are we doing to make sure this happens for our employees and within our companies? You see, if people feel they truly belong in their role and at your organization, then you’ve tapped into something that is much more powerful than merely being engaged. The challenge of belonging that often keeps people outside of groups is that we don’t ask people to join us. We get used to being a part of a group and enjoy it so much that we lose sight of the fact that someone once asked us to belong. We should never become so comfortable that we don’t reach out to others to have them become part of something. The moment we start forgetting that new people could add to our place of belonging, it will become stagnate and shrink quickly. In the end, people will make a decision to go somewhere else. They will find another place to belong. This week make sure you are doing some things to make belonging a reality for yourself and others. Belong Yourself !! – You need to quit trying to do HR on your own. It will never be effective for you. Connect with your peers. I’m asking you to join me. Seriously, if you do nothing else, reach out to me and I will make sure you’re connected !! Ask Others !! – Don’t let people shift in the wind hoping to land somewhere that has value. Be intentional and ask others to join you where you belong. With so many social media platforms, you can get someone to belong with you easily. Do This at Work !! – Make sure that your employees know that they belong. Don’t assume this is happening. Reach out and be intentional to evaluate where people see their sense of belonging in their position and within their department and the company as a whole. I love belonging. I know you do too. Let’s make sure that occurs !! Author Steve Browne (Admin)Posted on November 22, 2015 Categories HRTags connections, HR, Human Resources, intentional, SHRM, shrmlead2 Comments on Belong !! 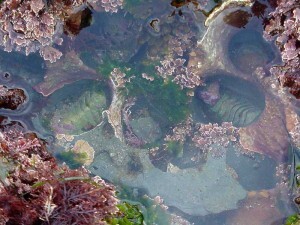 The Wisdom of Tide Pools !! I am a big fan of Social Media. I use most of the well known forums liked Twitter, Facebook and Linked In. I dabble in Instagram and Pinterest, and am always interested in watching other platforms to see what they offer. I think they’re an incredible way to communicate with people globally and they provide avenues to connect that we didn’t have in the past. The biggest challenge for me is taking note of how I use my time on Social Media. It’s easy to get bombarded with friend requests, likes, invitations, retweets, etc. It can grab your attention and take it away from other things. Let me share a story . . . This past week I was on vacation with my family in San Diego. It was our first time there and we rented a condo that sat up high enough on a hill to see the rolling waves of the Pacific Ocean. We took in the phenomenal San Diego Zoo our first full day and I took tons of pictures of the animals and the park. The second day we went to Coronado Island and the beach. Again, incredible and tons of pics. I felt compelled to post a few !! The third day we ventured to Cabrillo National Monument which is a National Park. And . . . then I slipped and slid down into the tide pool. I panicked and tried to push off the bottom, but never felt it. I was up to my chest (and I’m 6’4″) when I grabbed hold and pulled myself out of the tide pool. The kids yelled “Phone !! Camera ! !” I yanked them out of my cargo shorts, but they were blank, black rectangles. My “swim” took less than 30 seconds. I was safe but drenched. Everyone around asked if I was okay, and I was thankful I was. I’ve seen many posts from my friends about the need to be unplugged from Social Media and I agree with them. I’ve taken breaks, but I’ve never had one taken for me. It seems that my slip broke the chain I didn’t know I had. When we got back on the trail to see the rest of the National Park, Debbie reminded me that I lost a phone and camera, but she could have lost me. I was only a few feet from dropping down into the ocean. A sober reminder. The break was what I needed because it was life before Social Media and technology. The rest of the trip was better than the beginning !! We saw one of my past Eagle Scouts who is training with his brother at the Olympic Training Center in Chula Vista to try and make the Archery Team for the 2016 games in Rio. We climbed the California Tower at the San Diego Museum of Man and saw the Museum of Photographic Arts in Balboa Park, and we enjoyed delightful food and picturesque sunrises and sunsets. I was missing the reason that I post, blog, tweet, etc. in the first place and that’s the people in my life. I learned a great lesson from that tide pool. It’s not the technology that’s a problem, it’s how I choose to use it. I plan to take this lesson to heart from now on. 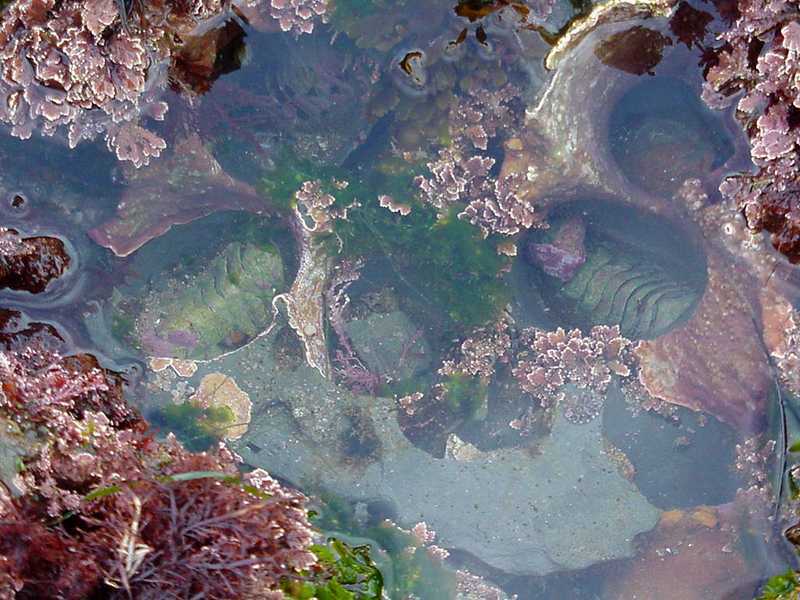 Author Steve Browne (Admin)Posted on August 16, 2015 Categories Random Thoughts, Social MediaTags Balance, connections, HR, intentional, Life, social media2 Comments on The Wisdom of Tide Pools !! I stopped for a second and asked her what she just said. “You heard me,” she said. And, then I headed out to my activity with this thought guiding my way. I’ll be honest it threw me. I was in such a rush to go that I wasn’t even thinking about why I was doing it. I had fallen into a pattern of just going to participate, that I hadn’t even remembered what motivated me to do this in the first place. Now, fast forward a few weeks . . . 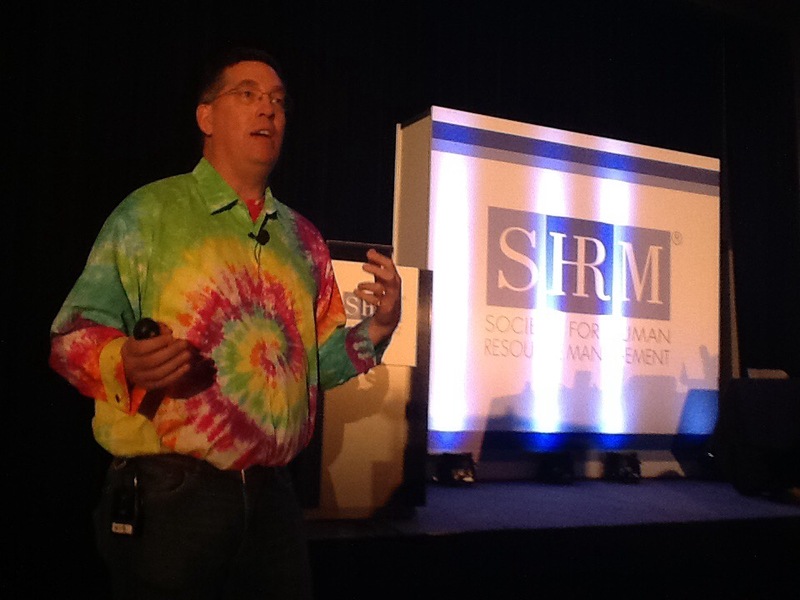 I was fortunate to speak this year at the SHRM Annual Conference. I enjoy speaking to my peers at HR events. You could say I get Geeked about it !! I never quite shake the nerves you get before a presentation starts, and this was no different. Before anyone came to the 7:00am session, I stared at a vast room filled with 1,200 empty seats. The thought of, “I wonder if anyone will come?,” crossed my mind once or twice. Slowly the room began to fill, and I felt less anxious. The next hour and fifteen minutes flew by !! We laughed together and talked about how to make your company’s culture rock. I’ve always been someone who thinks HR is simply the best field ever to work in, and I shared that with the group. This message was one of encouragement. I believe in what HR folks do for organizations and for employees individually. During the presentation, I pulled out my favorite HR tool available – my Magic 8 Ball. Yes, this is the toy from the 1970’s where you ask it a question and then turn it over for it’s response. I usually ask, “Are you going to keep your job?” Shake the 8 Ball, turn it over and see “Doesn’t look good.” It’s fun because you get to mess with your employees and there’s nothing that says you can’t do this !! At the end of the presentation, I make sure to give out a Magic 8 Ball to make sure that someone has a new tool to take on HR in a different way. The same anxious feeling you get before you give your presentation you have after it’s over. You don’t know if what you covered mattered or not. Was it meaningful? The reality of this is that it isn’t in your control and it’s a humbling factor of speaking. I’m good with this though because doing something meaningful shouldn’t be self-serving, it should help others. This runs contrary to most everyone today because we still keep focusing on the “what’s in it for me” approach. We build entire systems to make sure that we cover the WIIFM factor. Is practicing HR meaningful for you? Are you focused on others? What happens when you practice every day and you’re not sure it matters to others. You honestly may not hear if what you do every makes an impact. It’s hard to keep going, but I want to encourage you to not give in. Since the presentation, I’ve heard from several people who say they’re Geeked about HR again. Two people told me they bought Magic 8 Balls and they’re already “using” them at work. I also was humbled when two young HR pros from Utah called me to talk about their ideas on benchmarking HR to improve their culture !! There were many others that talked to me and I loved meeting each one of them. As you start the week, I want to leave you with the encouragement my wife gave me – Do something meaningful today !! Author Steve Browne (Admin)Posted on July 12, 2015 Categories HR, LeadershipTags connections, HR, Human Resources, intentional, SHRM, SHRM159 Comments on Do Something Meaningful ! !